return to THE SIGN SHOP here. 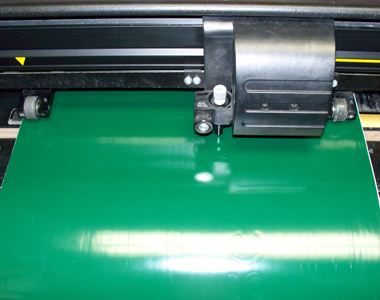 Cut Vinyl is a very popular solution for a variety of signage solutions, however there is a limit to the complexity that can be achieved with this process. There is also a minimum letter height which varies depending on the font style, please call and or send us your ideas and we'll let you know are recomendations. 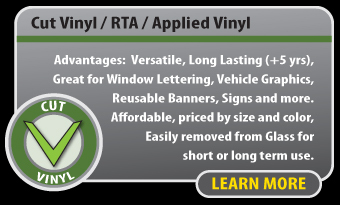 Below are the 3 main types of vinyl that we offer. Standard Calendered Vinyls are effective solutions for most temporary outdoor or semi-permanent indoor sign needs. They are available in a wide assortment of colors and are typically rated for an outdoor life of up to five years. Premium Cast Vinyls are more durable than other vinyls. They conform to irregular surfaces better and will tolerate extreme conditions better than calendared vinyls. 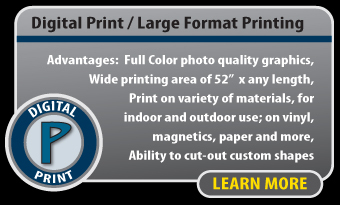 Cast Vinyls are also available in a wide assortment of colors. They are typically rated for up to 7 years of outdoor life. 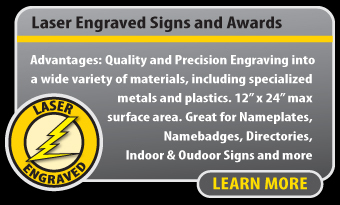 Cast vinyls are suggested for any permanent outdoor signage and all vehicle graphics. Specialty Vinyls, such as metalic or reflective vinyls, enable us to achieve a distinctive image. Durability varies greatly. 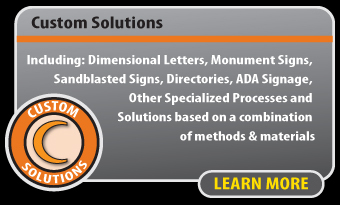 Please see your Signs Now associate for more information. 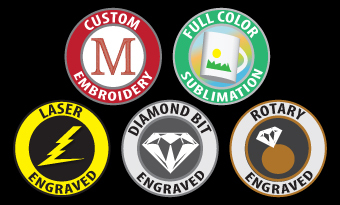 We also provide Custom Embroidery, Sublimated Gifts and Engraving, make sure to ask our sales rep for more information.